It is indeed true that being protective of our children is an innate nature within Moms and Dads alike. We always want to make sure that what we give them is healthy and safe. From birth on, we automatically enshroud our kids within our invisible circle of protection. This is why we should always be cautious of the choices we make for them - from clothes, toys, to the food and milk we make them consume. As our children grow older, they develop the need to go out and explore the world around them. Us parents can't be there for them 24/7 but there are are ways that we can simply show them our love that protects. 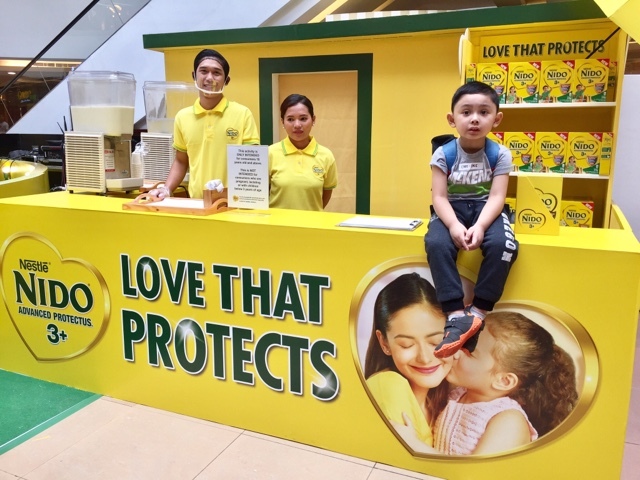 This is where the loving protection of Nido Advanced Protectus 3+ comes in. 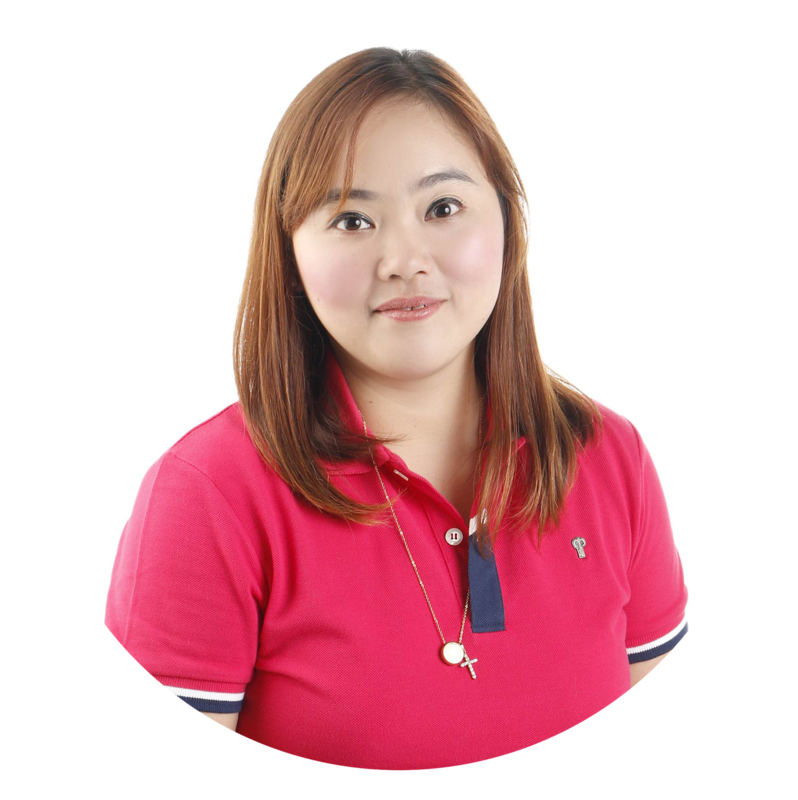 I was a Nido baby myself that's why I truly believe that Nido can protect my children the same way it did me during my early years. 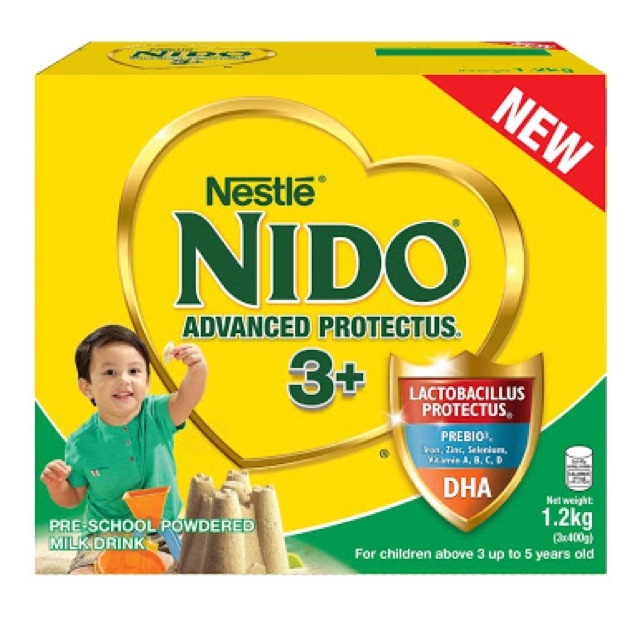 In every 45g serving (4 tablespoons) of Nido Advanced Protectus 3+ and Nido Advanced Protectus 5+, there are at least one billion colony forming unit (cfu) of L. Rhamnosus present. 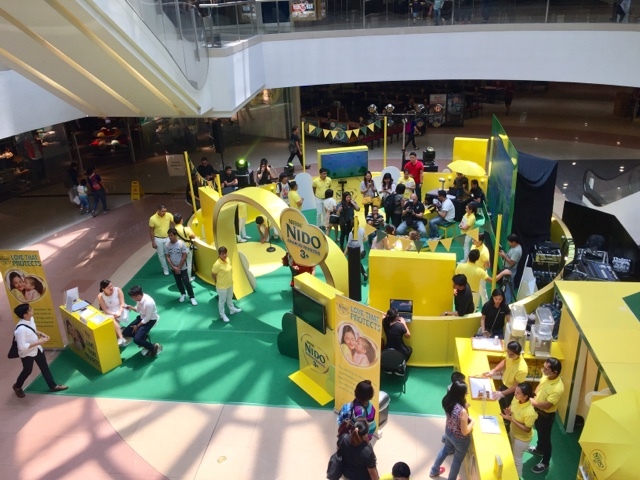 Choi and I recently attended a trade rvent headed by the Nido Advanced Protectis 3+ team at the Atrium of SM Megamall. There were aptly heart-shaped activity booth that showcased love that protects through interactive parent-child activities. 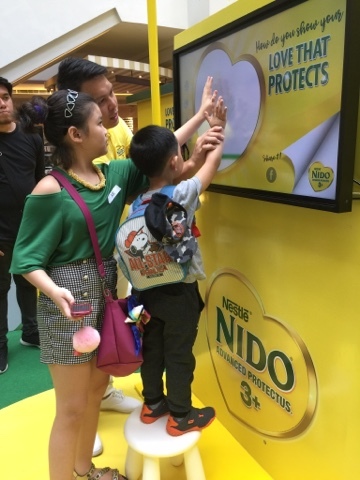 For kids, Moms and even Dads to join the event, they only needed to buy one 370g pack of Nido Advanced Protectus 3+ or 5+ from the nearby selling booth and they got 3 sets of 3 wrist tags. Inside, they can win special prizes by evading the dangers of the forest through the sound-controlled game Shout for Love, hugging to catch yellow hearts at Catch The Love Bug, expressing their creativity by coloring templated artworks at Color Me Love, and stating their commitment through a mom and child handprint and answering the question "How do you show your love that protects?" Choi and his friend Abby enjoying the coloring activity. 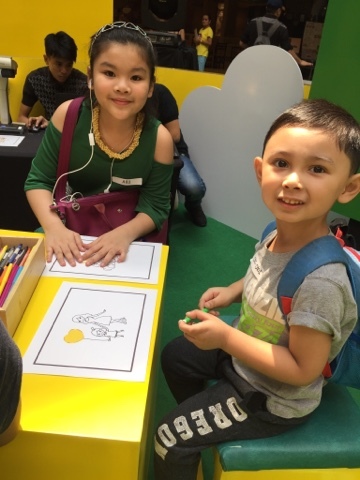 The activities allowed us parents and children to demonstrate our creativity and teamwork, trust, love and at the same time an educational, fun-filled family bonding day with NIDO ADVANCED PROTECTUS 3+. 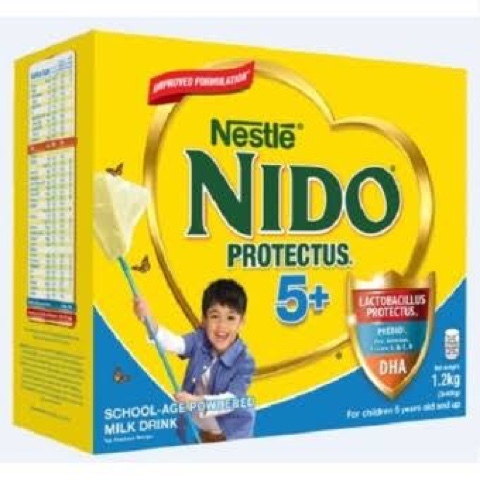 The activities are featured on the Nido Advanced Protectus 3+ Facebook Page.